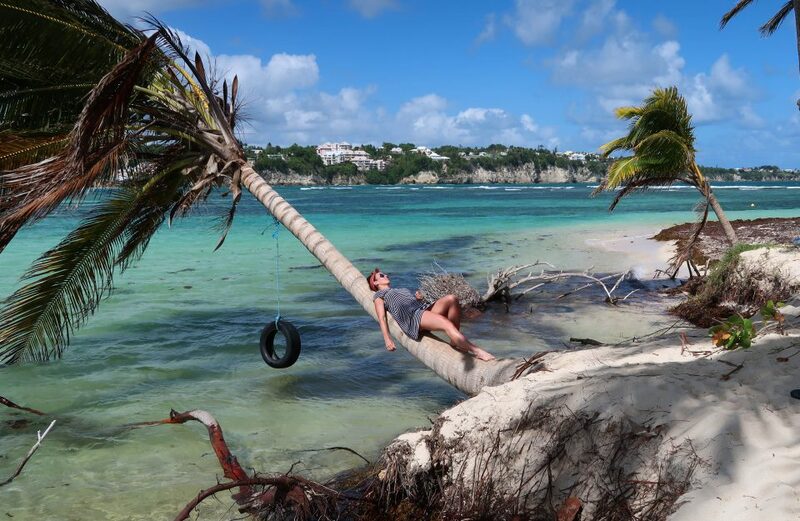 There is no place I’d rather be than in the Caribbean. Well honestly, I’m happy to be anywhere that includes crystal clear blue waters for miles. 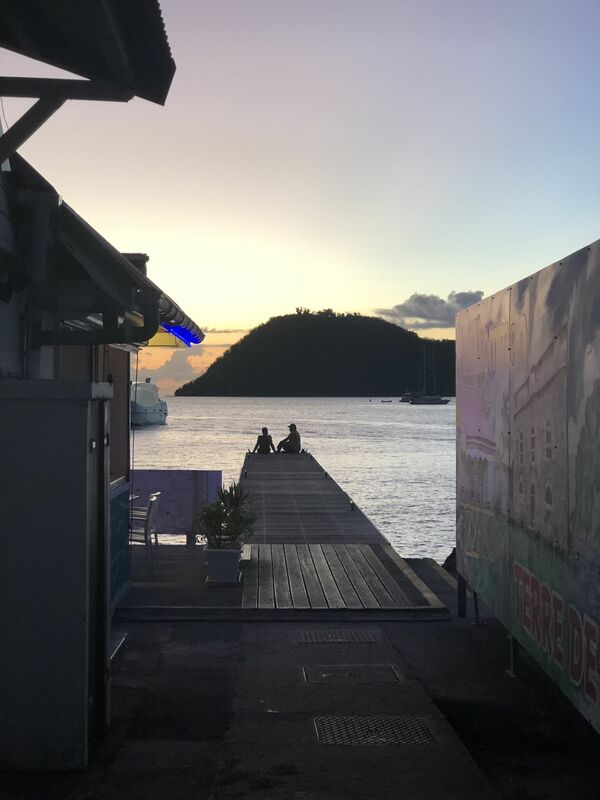 But after experiencing the Caribbean on a completely elevated level back in August when I took my first trip with TradeWinds, I knew I had to make it back out to the Caribbean again ASAP. 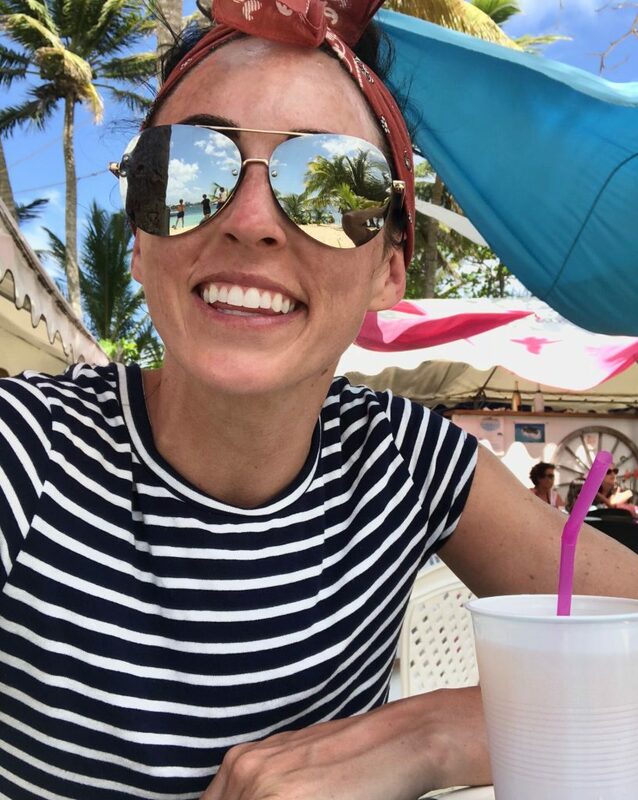 And when my 30th birthday came creeping up, it gave me the perfect excuse to celebrate in style and wake up looking at the ocean (on the ocean) the day I rang in my thirties. A little background about TradeWinds in case you didn’t see my first experience with them. 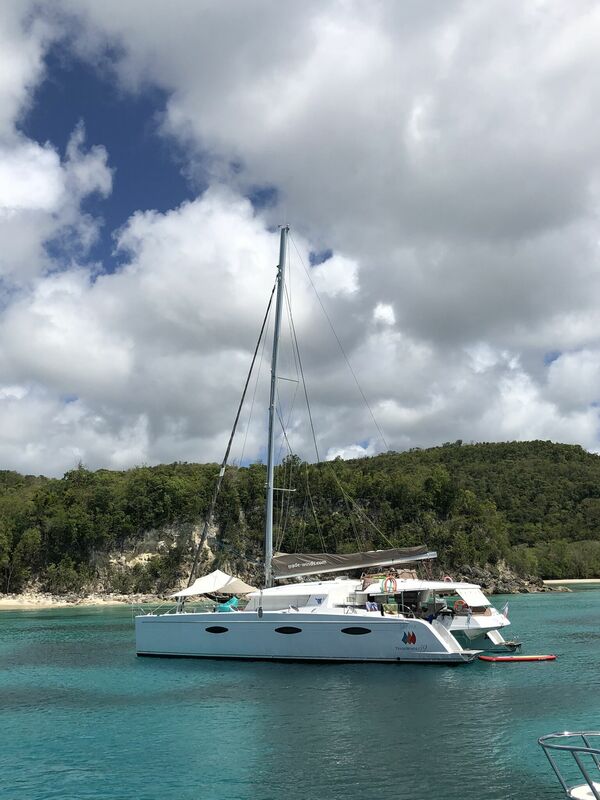 TradeWinds is an all-inclusive luxury catamaran company that charters their amazing boats through the Caribbean, Central America, Mediterranean and in the South Pacific regions. TradeWinds offers three different yachts at the moment including Cruising Class, Luxury Class, and Flagship Class with each boat ranging in size, price and offering different amenities. 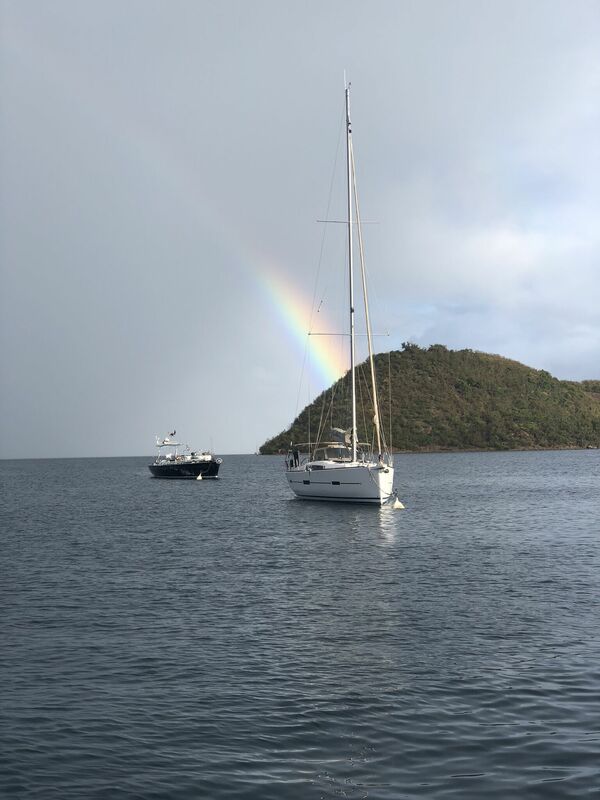 While traveling with TradeWinds, you’ll have a crew that handles the sailing as well as cooks your meals and caters to any needs you may have. 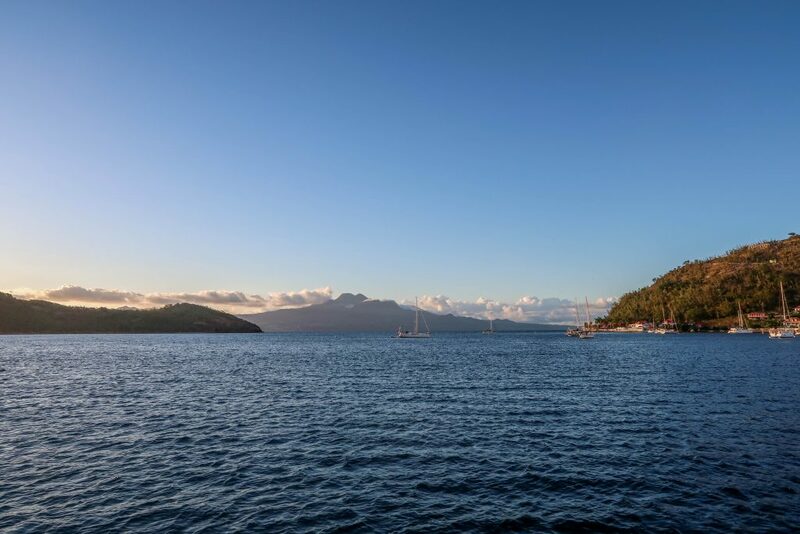 Not only do you get to experience stunning places and multiple stops during your 7 day trip, but you also have the opportunity to snorkel, scuba dive, paddle board, kayak, and fish throughout the trip! From the moment you step onto the boat with snacks and drinks awaiting you, all you really have to worry about is reapplying your sunscreen. No but for real, you need to reapply A LOT. Trust me. 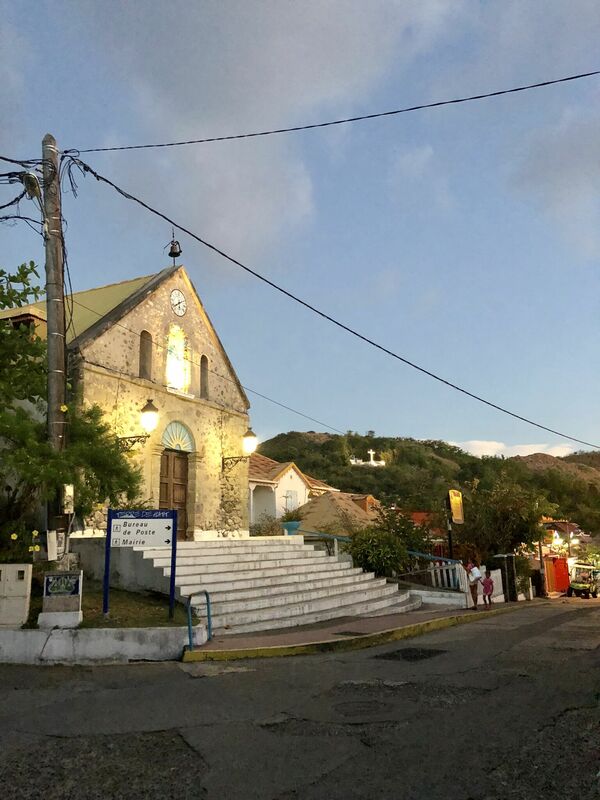 Saint Martin – Did it, LOVED IT, want to go back to it! 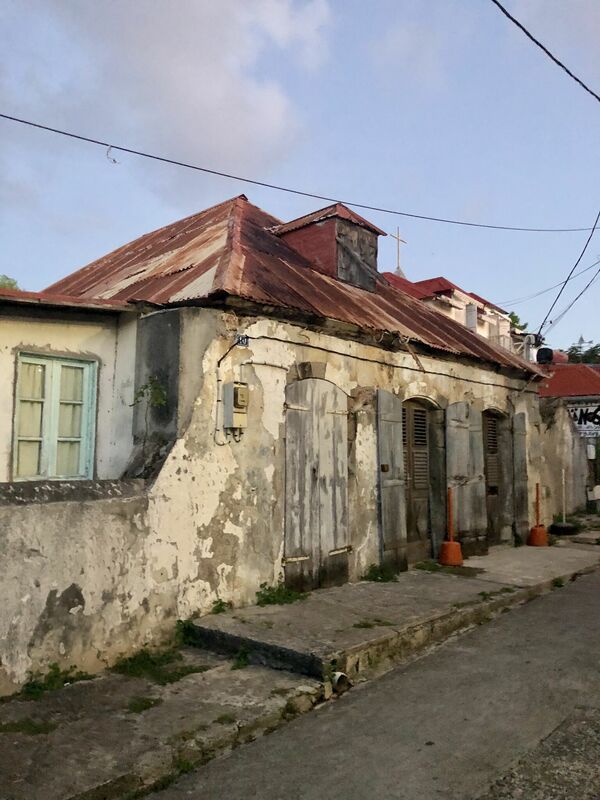 Guadeloupe – This is the trip I just went on! And what is so cool about TradeWinds is that it’s a totally customized vacation, meaning not one trip is exactly the same. The staff ranges, the needs of the customers ranges and the experience ranges. 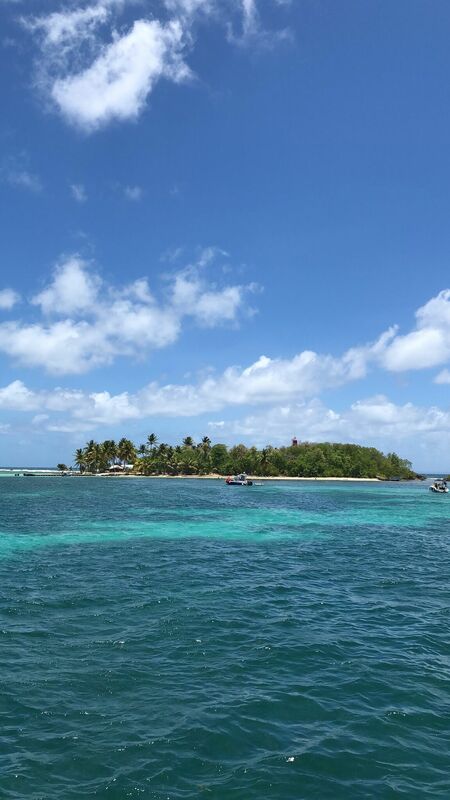 If you go on the same Guadeloupe trip that I did, but you have no one who snorkels or dives on your boat, the captain and first mate may go to different locations that suit the boat better in that situation. As I talked to everyone on my boat who had gone on the same trip I did for my first sail, their experience was pretty different. The crew makes sure that the route they take is the best route for everyone involved! Pretty cool. But I can talk more about the logistics of TradeWinds later! 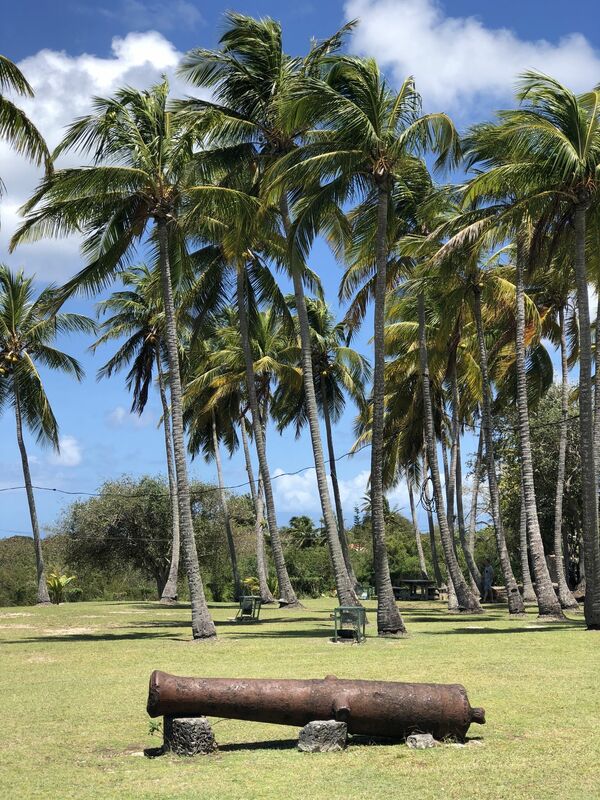 Let’s talk about this 30th birthday trip to Guadeloupe! 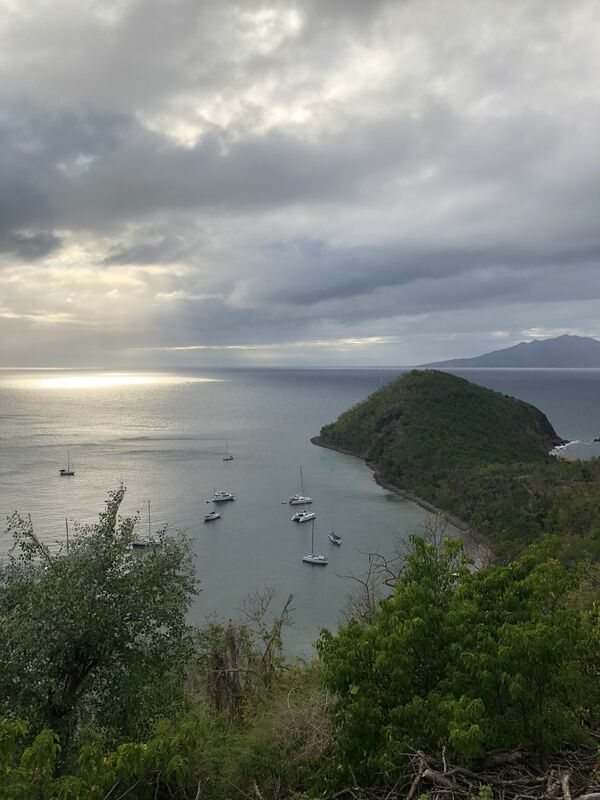 I had never even heard about Guadeloupe until this trip but I quickly found out that it’s a French-speaking Caribbean island that is right in the middle of all the Caribbean and is shaped like a butterfly. Sssssscute. 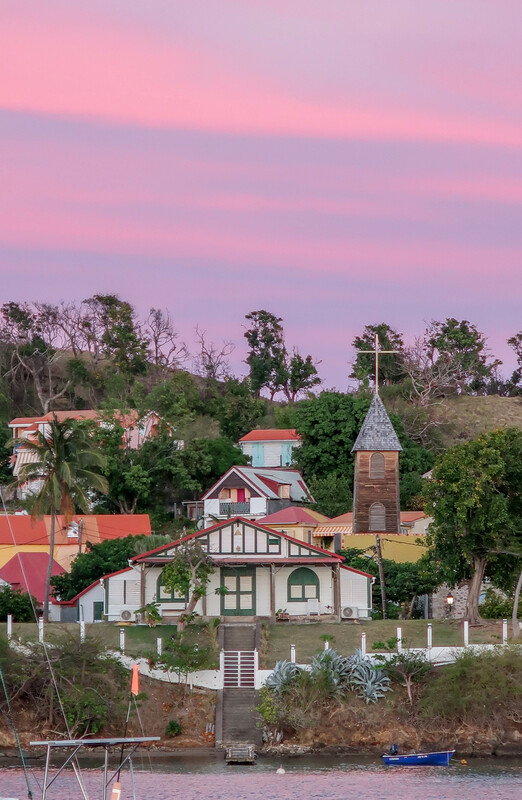 This French island has Creole flavors thrown in so the food is absolutely amazing! And many of the towns and buildings have a really unique charm to it that I haven’t seen in other places yet. It’s also FULL of history. 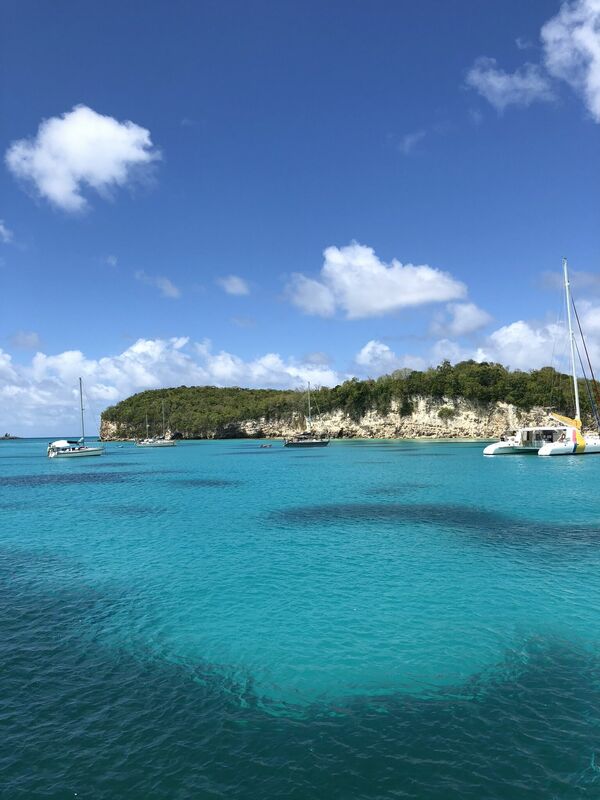 After starting our trip off from the Pointe-à-Pitre marina in Guadeloupe, we set sail around the island to get all the snorkelers and scuba divers in the water. During those dives, they were able to check out Jacques Cousteau’s Underwater Reserve and everyone said they LOVED it. I stayed back on the boat and worked out instead. I support the fish which means I stay out of their house. It freaks me out too much. 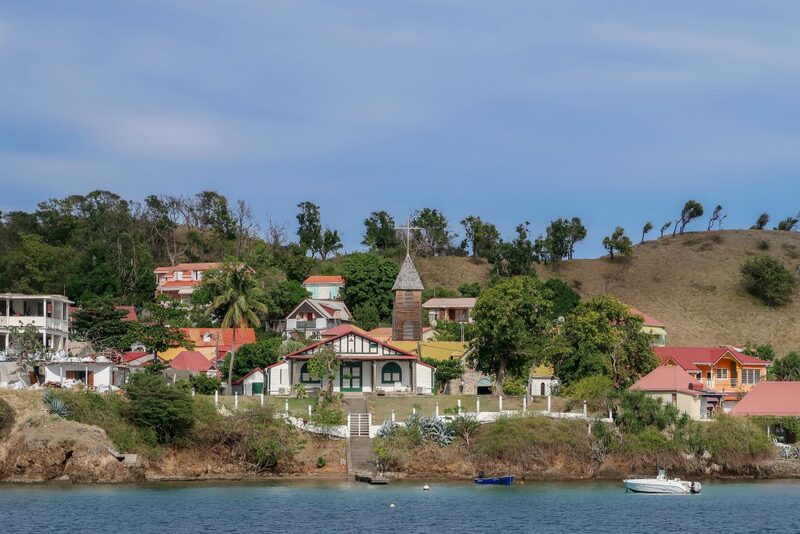 After everyone experienced all the history under the water, we set sail south of the main island of Guadeloupe to check out the smaller group of islands called Les Saintes and wander around Terre-de-Haut. 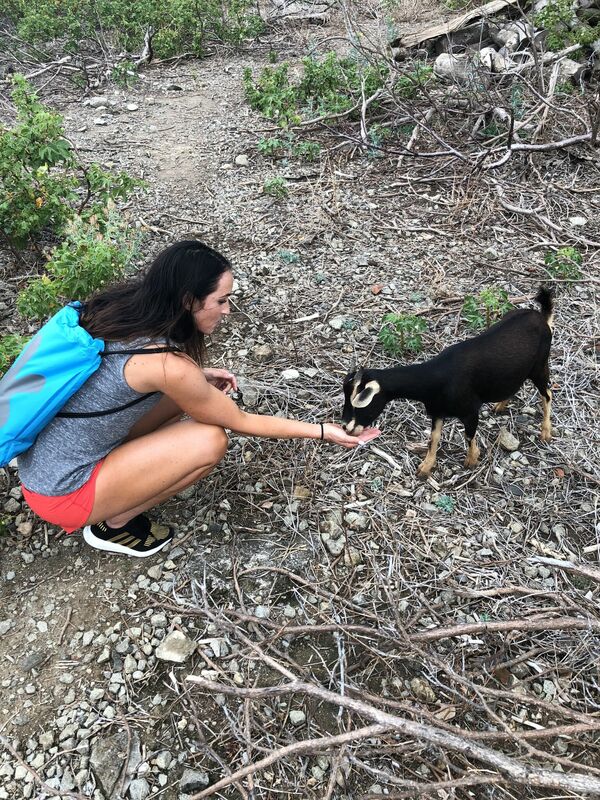 The first spot we stopped in was FULL of goats. So many adorable and insanely loud baby goats. It sounds like children are screaming. Rather annoying…until you see it’s baby goats. I have no clue what this area was called because everything spoken in French flips my brain upside down. After feeding the goats and chickens, we moved around Terre-de-Haut just a bit to explore the most adorable little town. This was probably my favorite spot of everywhere we went. 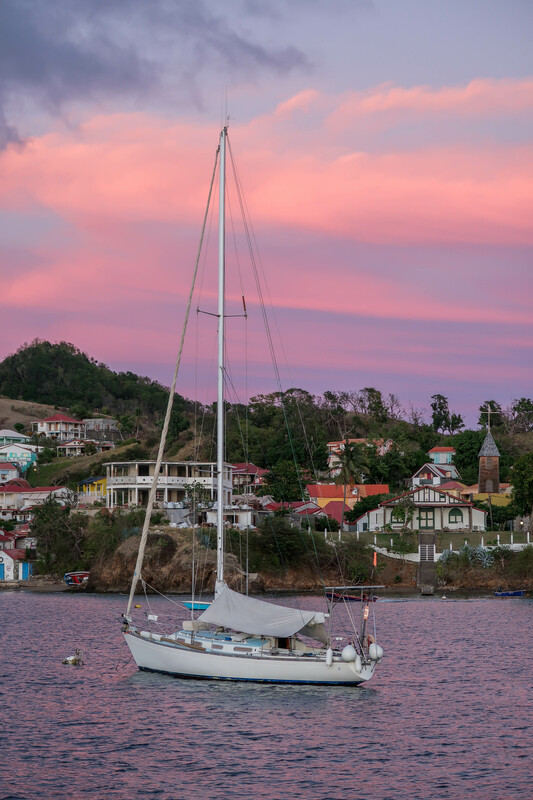 As you pull up to anchor your boat, you’re greeted with the most picturesque hillside of red roof buildings and historical forts at the top of each little mountainside. And in the distance, you can see the La Grande Soufrière volcano. I think that’s the right volcano…again, French is so foreign to me. Anywho, I could have stayed in this town forever, even after running in the rain and getting completely drenched. This narrow road through town leads to many restaurants, shops, bakeries, coffee shops, and it also leads to Fort Napoléon des Saintes. And this little town made me REALLY wish I spoke French. Plus the sunrises and sunsets were bananas. When you’re on your trip with TradeWinds, you’re asked to eat two meals ashore. Your first meal is mid-week so they can completely clean the cabins and change the sheets. The second one is the last night when you get back to the marina. 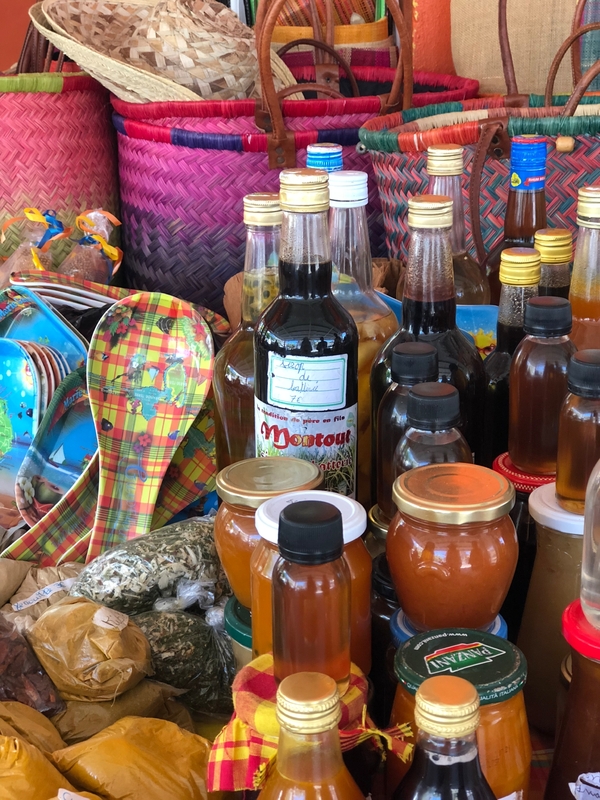 Since almost all your meals are on the boat, this is a great opportunity to get to know the island more and the flavors that have developed over time in each location. 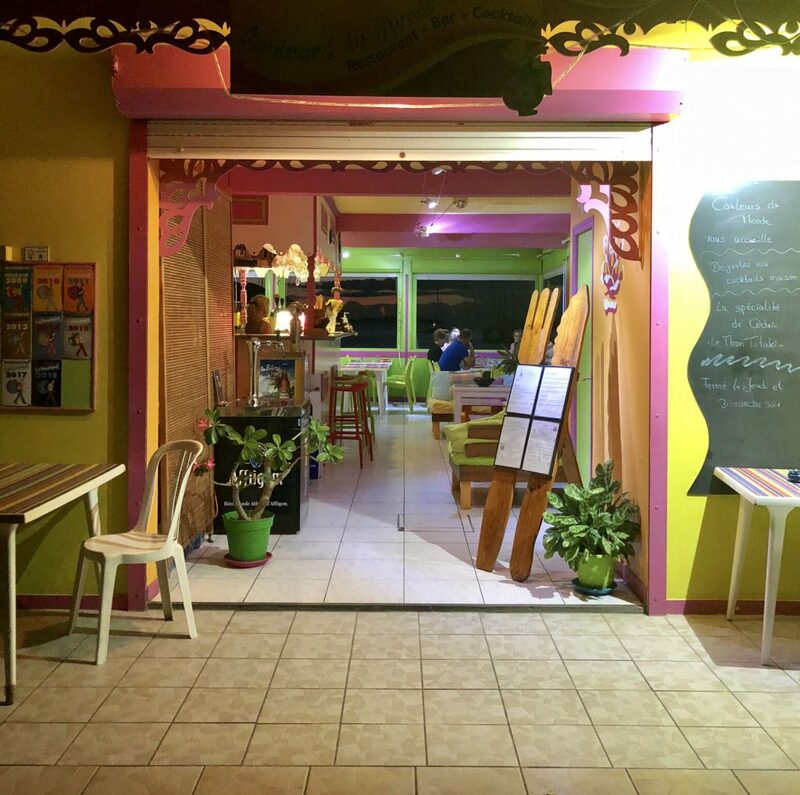 We ended up going to the most adorable little spot called Couleurs du monde where I had THE BEST piña colada and a plate full of French-creole seafood. It was so amazing! And it was the only spot that had some of their menu items in English, which was super helpful. Especially when thinking that we should try black pudding. It’s definitely not the same pudding we are use to here in the States. Again, how amazing is this place? 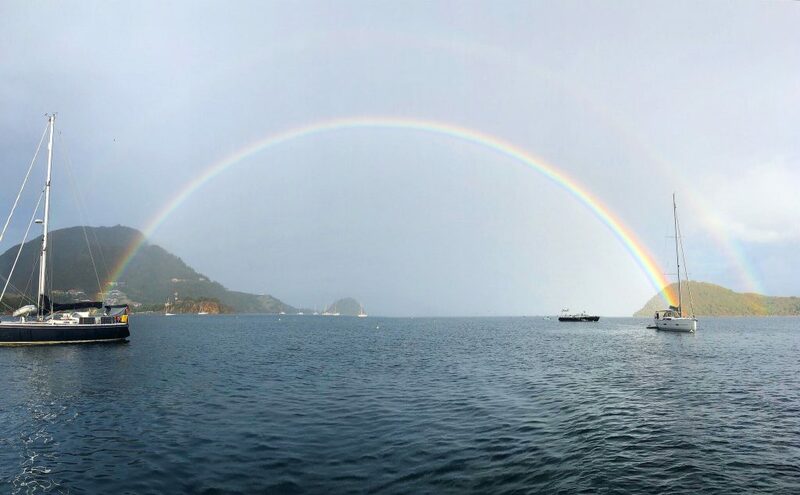 I woke up to this early morning double rainbow. I think the people on this boat have some good luck ahead of them! 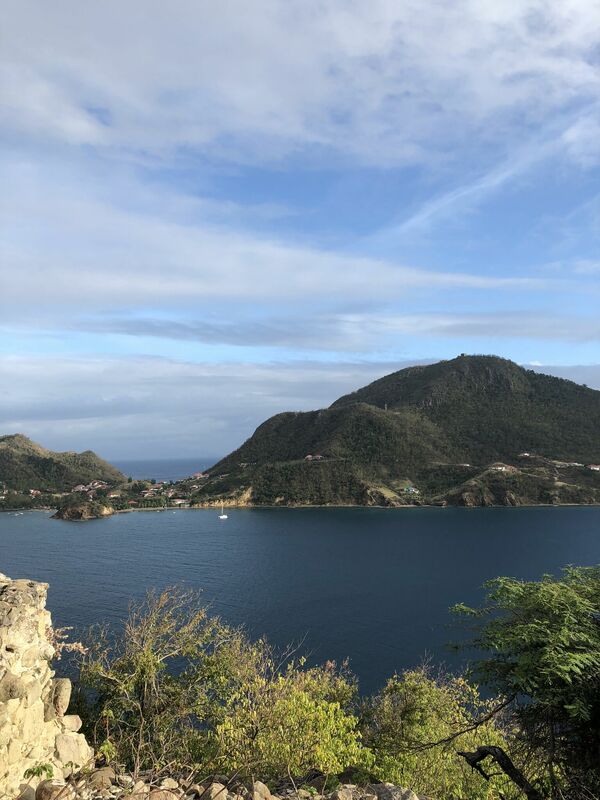 While we explored Terre-de-Haut and went in all the stores and had the best coffee at the edge of the ocean, we also did a little workout leading up to Fort Napoléon des Saintes. It’s a super winding and steep road so it was the perfect place to run up and down. 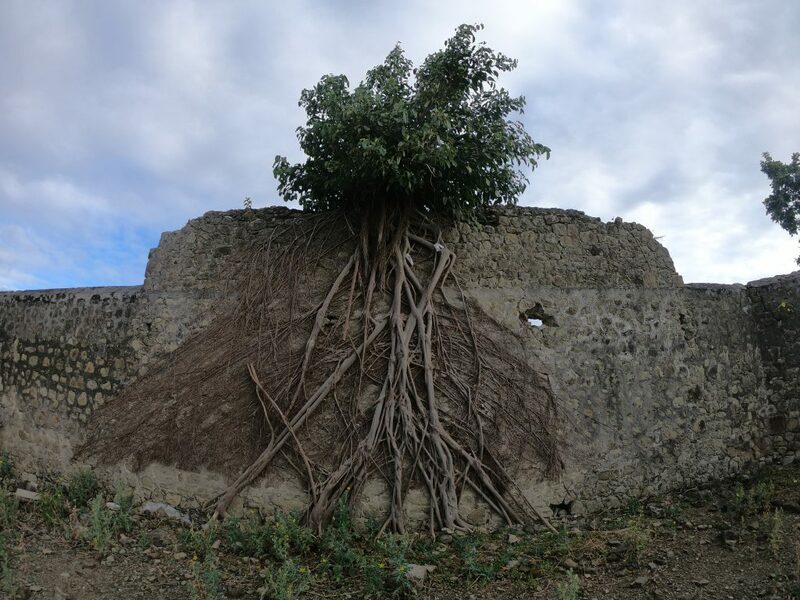 And after seeing tons of chicken and goats, I was happy as can be to find this little guy outside of Fort Napoléon des Saintes. As soon as I said ‘Bonjour!’ (the ONE French word I know…damnit) to him, he followed us forever up and down the road. He was the absolute cutest! 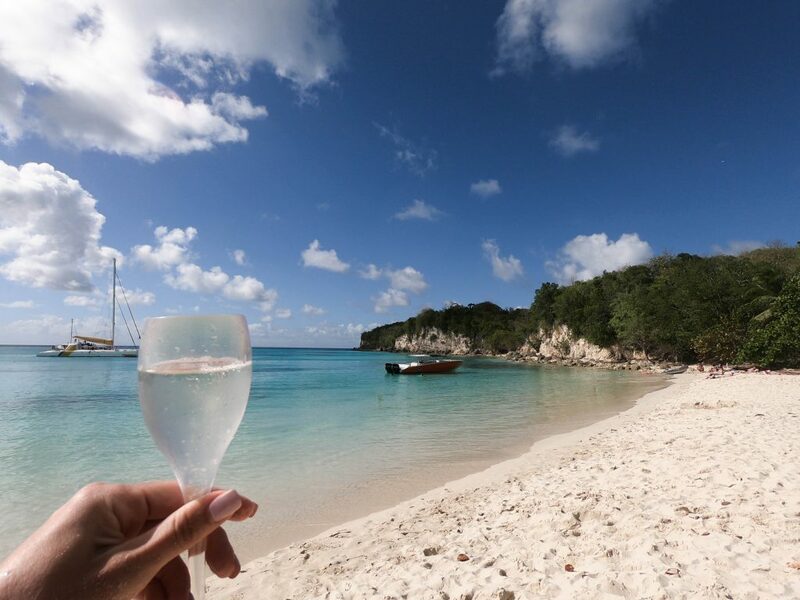 After spending (not enough) time in Terre-de-Haut, again I want to stay there forever, we moved on to the island of Marie-Galante to spend the evening sipping champagne on the beach of Grand-Bourg. This beach was stunning, quiet and the waters were perfectly warm! The next day, we spent the afternoon exploring Grand-Bourg. 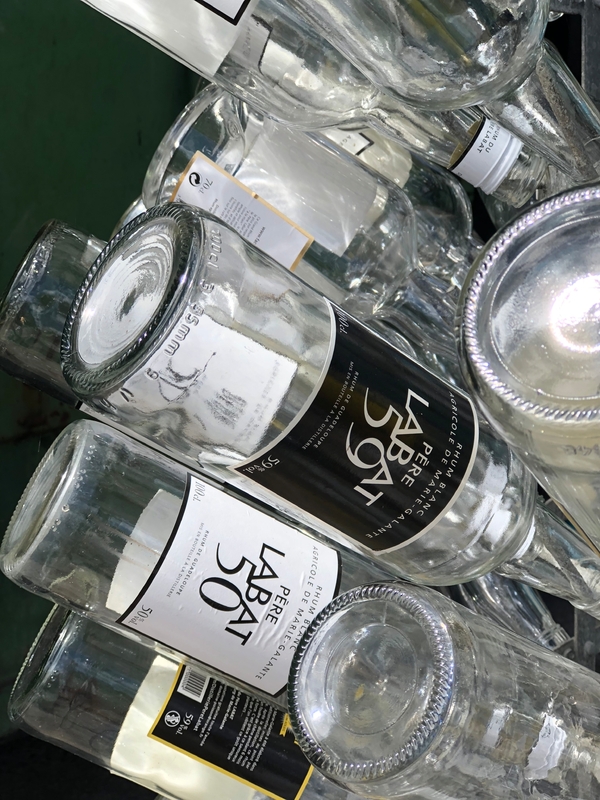 We started off by checking out Pére Labat rum distillery where they harvest the sugar cane themselves and process it all right there to create their rums. I snacked on the sugar cane, but passed on the rum. Sugar cane tastes way better than alcohol. 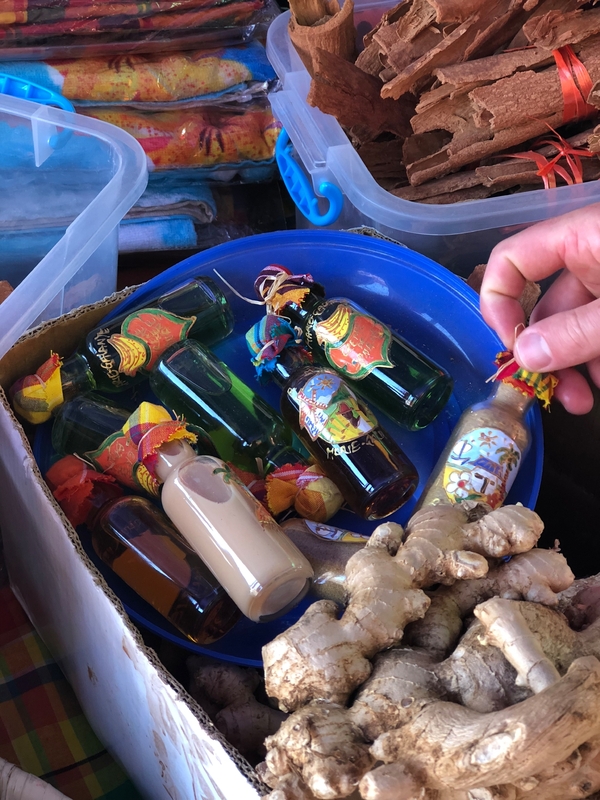 After the rum distillery, we moved onto a historical sugar plantation and a local spice market! I ended up getting my mom some homemade jam at the spice market, but Miami security wasn’t a fan and made me throw it out. So sad!! 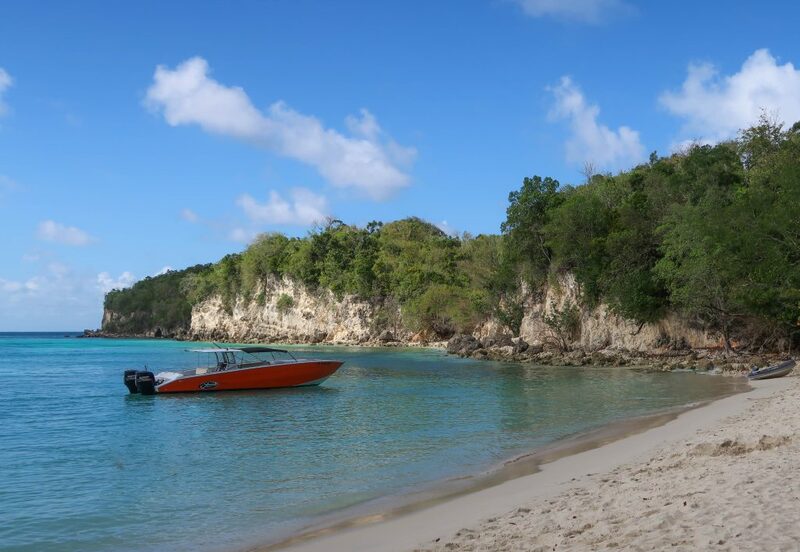 After exploring Marie-Galante, we set sail around the island just a bit to a beach in Saint Louis. This was the most beautiful beach, especially because the beach was filled with dogs. I have no clue if they were owned by anyone because the next morning I swam to the beach and one of the dogs ran sprints with me and wanted his belly scratched the entire time, but no other people were on the beach. He was the best. While we stayed the night at this beach, we brought coolers onto the paddle board and everyone floated in the shallow waters and sipped on cocktails at sunset. It was pretty lovely! And for our last day, we sailed to Gosier island for a little beach time and drinks at their tiny restaurant. Just a warning, don’t get the Punch Coco. It’s not like a piña colada like I hoped it would be. It’s more like rum and 2 ice cubes. Not cream and sugar, like I prefer. But I haven’t even touched on the most important part…the FOOD! 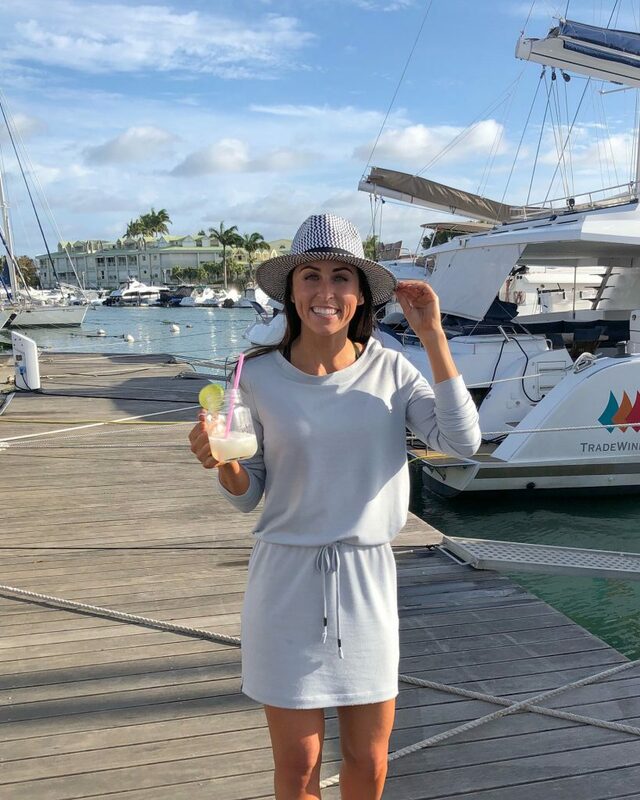 TradeWinds wants you to be as comfortable as possible while you sail, so before you even land in your destination, you’ve already filled out a sheet with your favorite drinks, your dietary restrictions and any requests you may have for your trip. I let my crew know what I was gluten-free, I don’t eat eggs, and preferred tequila to make homemade margaritas with. And the crew made sure that I had gluten-free and egg-free options at every meal! Every day you’ll received a Captain’s cocktail, different than the day before. 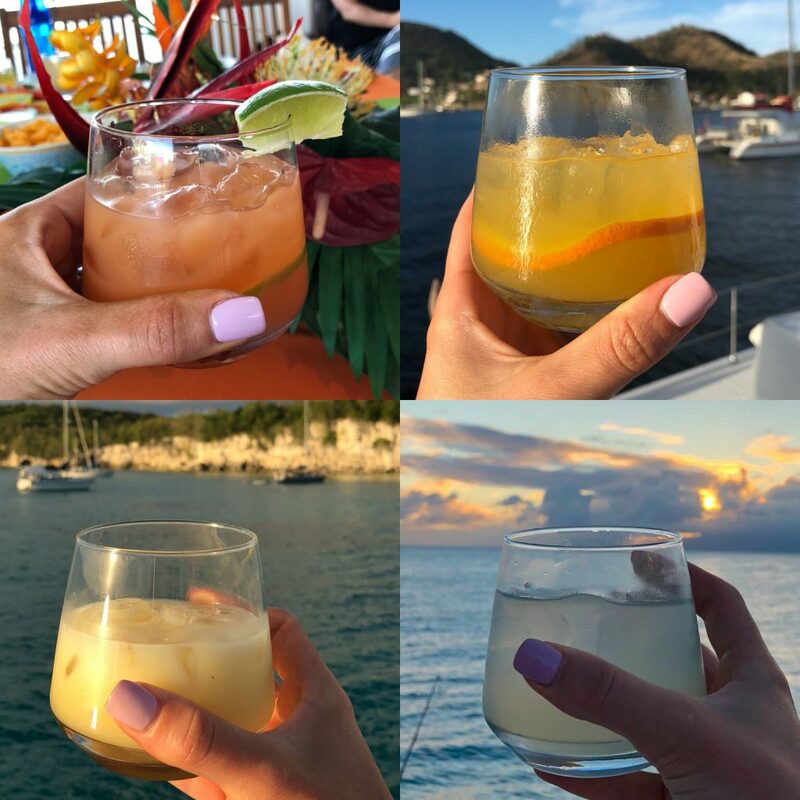 We also had many non-drinkers on our boat so they would make a regular batch of cocktails along with a virgin batch of cocktails, as well! Every cocktail was delicious and addicting! And we would often have the cocktails at sunset on the top of the boat so the drinks came with some killer views. And breakfasts totally ranged throughout the week on our boat in Guadeloupe. Since we were sailing around a French island, MANY French pastries were on our breakfast table each morning. 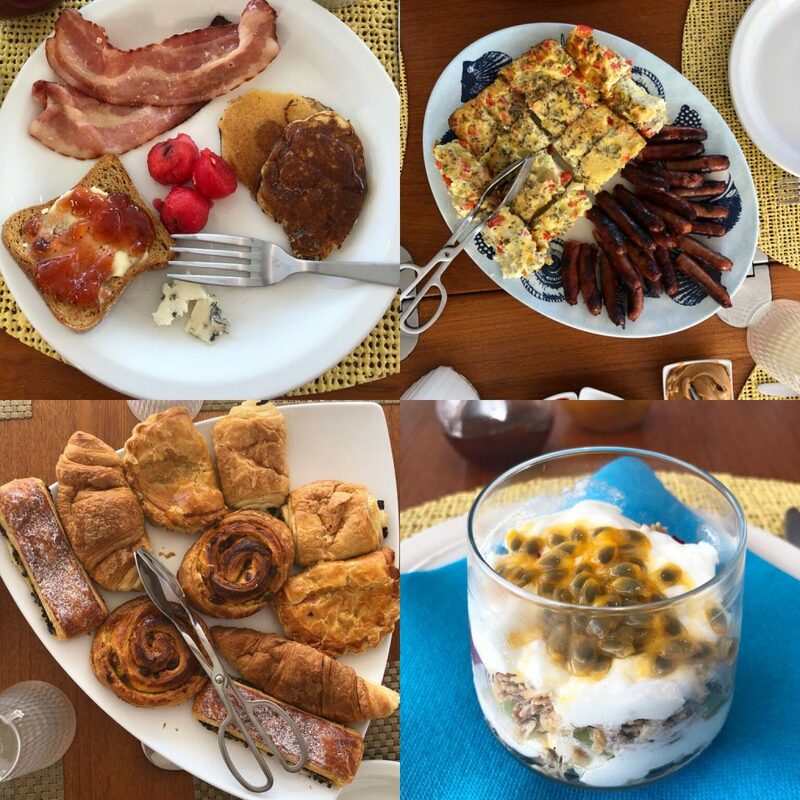 But we also gluten free pancakes, bacon, LOTS of fresh fruit, frittatas, sausages, and we even got some passion fruit yogurt parfaits one morning! I ALWAYS pack snacks with me while traveling, but I didn’t need them much on this trip because you’ll almost always get a mid-morning and mid-afternoon snacks to tide you over until your next meal. 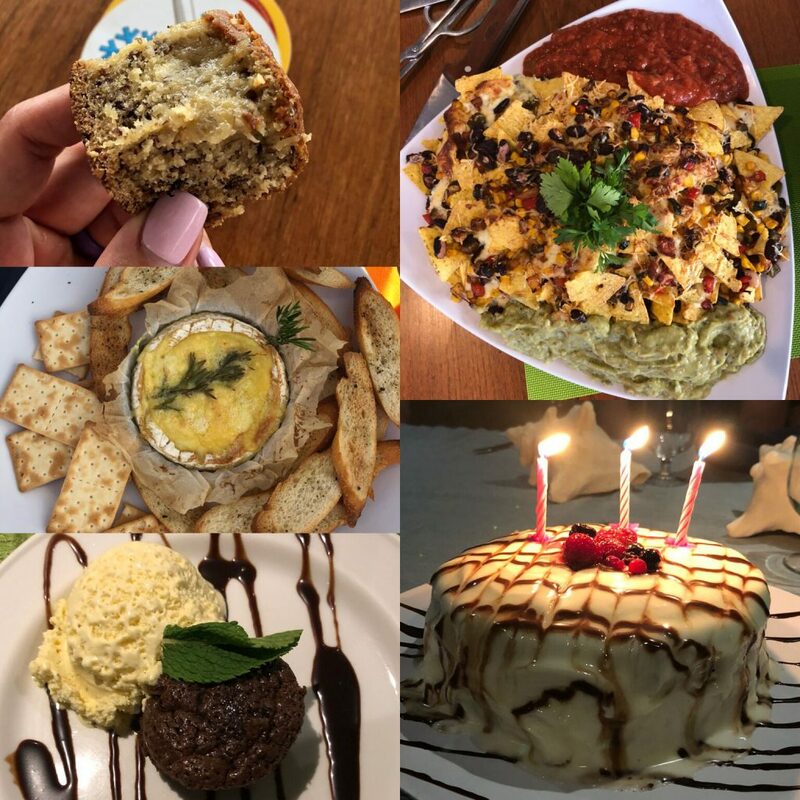 We had amazing snacks like gluten-free banana bread, loaded nachos, and baked rosemary brie (with gluten-free crackers!). And we also had some amazing desserts after dinner like flourless chocolate cake, and a GIANT gluten-free and egg-free birthday cake that I obviously had on my birthday!! So freaking sweet of them to hunt down that cake for my special day! 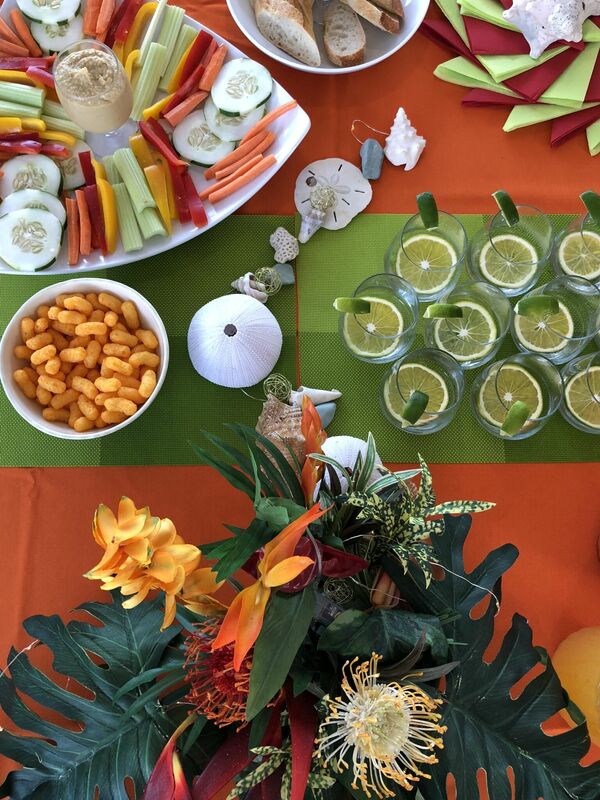 And the meals are just as amazing as all the snacks, drinks and treats! 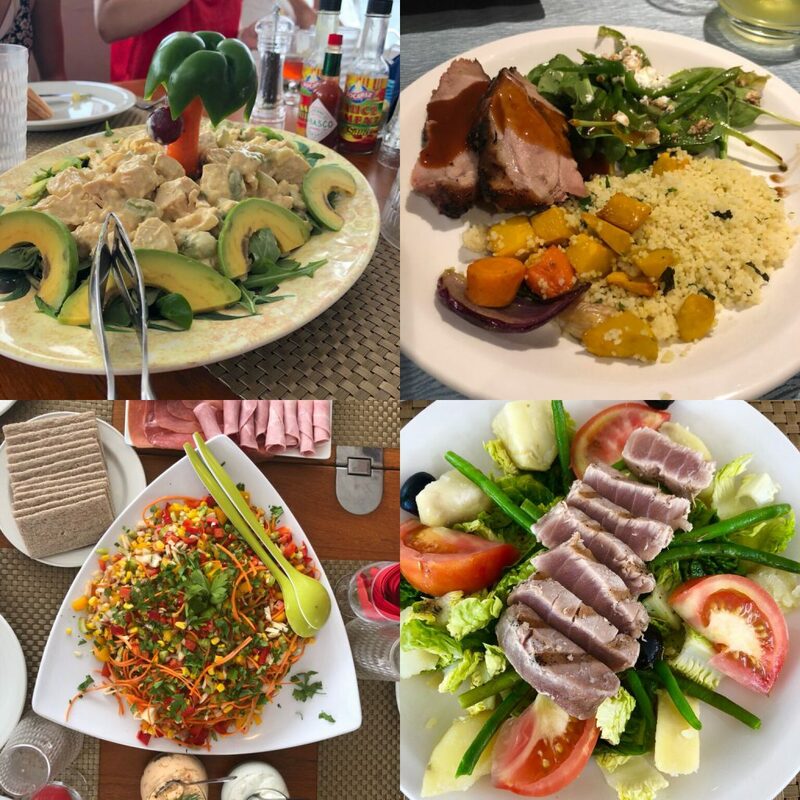 TradeWinds has a recipe book that many crew members cook off of, but they also add their own flare to meals depending on what they have on hand in that location. We had things like chicken salad, duck, tuna, fish, steak and so many other amazing meals. And they always made sure that my meals were gluten-free! While I was on my latest trip, I had ton of people reach out with questions about TradeWinds so I thought I would do a little FAQ section, but feel free to ask any questions below and I will answer them ASAP! How does TradeWinds work? Do you have to be a member to sail with them? 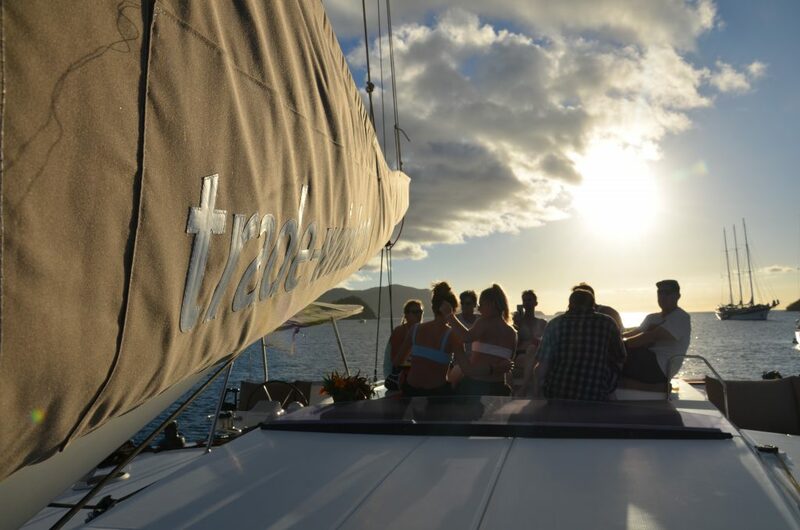 You don’t have to be a member to sail with TradeWinds, but being a member has tons of perks and will save you in the long run! You can easily book a trip with TradeWinds without being a member. To become a TradeWinds member, you purchase as many points as you’d like. Each boat and location ranges in points and your points are valid for 10 years. Then once you finally decide on the trip, all you need to do is get yourself there and pay the all-inclusive fee for the week! What are the perks of being a TradeWinds member? When you’re a member, you can book your boat whenever, wherever you want and you can book a single cabin or entire boat. 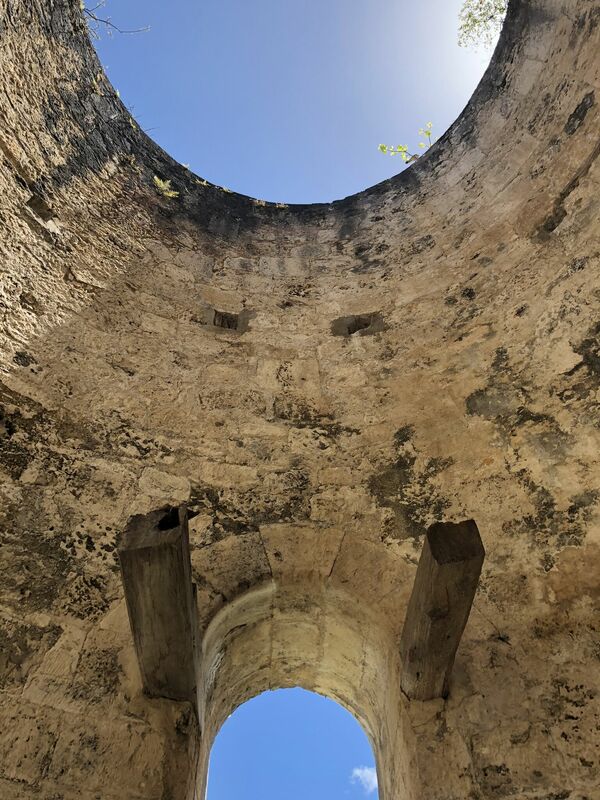 You get to choose from locations like Fiji, French Polynesia, Belize, Greece, and many other beautiful places. TradeWinds now offers Land & Sea options where you sail for part of the trip then stay in a luxury five-star villa! They also offer lifestyle cruises to help you create a two week or longer vacation custom to your needs and wants, instead of following the normal itinerary. TradeWinds has also purchased unique land-based spots such as the Tribe Villas in the Grenadines that is only accessible by boat. And the 17th century Château Alizés in France with elegant suites and wine tastings. Do you tip the crew? Absolutely! The crew works SO incredibly hard throughout the week. 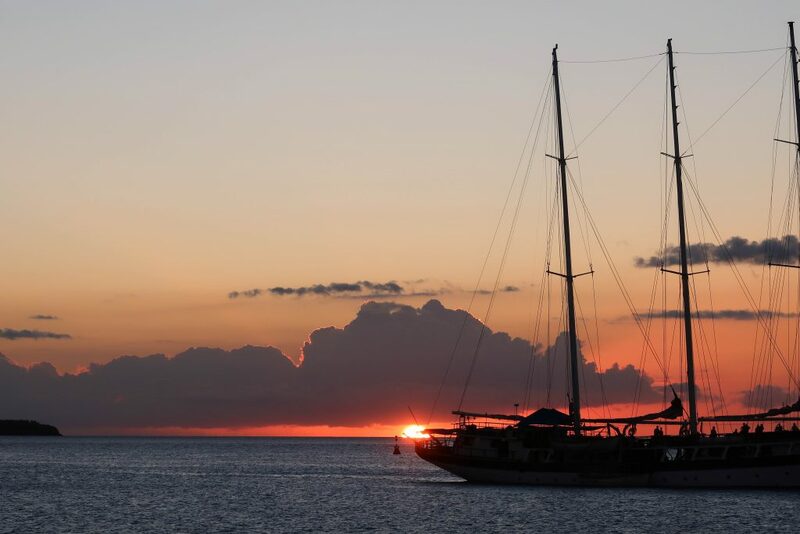 From sunrise to way past sunset, they are cooking, cleaning, sailing, and making sure you are happy and as comfortable as possible throughout the week. So the definitely deserve a great tip at the end! Do you need to bring cash with you? I always bring cash with me to tip at the end. But I definitely recommend bringing some extra money with you for any drinks, food, and gifts you may find along the way. Almost everywhere I’ve been takes credit cards, but it’s nice to not take your card out of your wallet the entire trip. I ended up getting euros before I left so I wouldn’t have to deal with the ATM or ATM fees when I got there and everything was smooth and simple once we landed! Was it weird being with strangers on the boat? Not at all, actually! The first time I went on the boat, it was with all friends of friends so it was pretty easy to get comfortable with everyone. But this boat was filled with 4 cabins of people we had never met. There was a couple from Vail and the woman brought her daughter and daughter’s friend. Then there was another couple from LA. And a woman from San Diego. Ages ranged from 16 to probably 55 or 60 and we all got along great. And the best part is, there is a lot of opportunities to be by yourself. The boat is huge, there is a ton of time at the beach or in the water, and lots of time ashore with whoever you want to hang out with. We enjoyed everyone on the boat, but we had plenty of time without them, as well! But what if I don’t want to be on a boat with strangers…can I book the entire boat? Yes, you can absolutely book the entire boat! That’s what my friends did the last trip I went on. They book the entire boat and we paid them for our cabin! 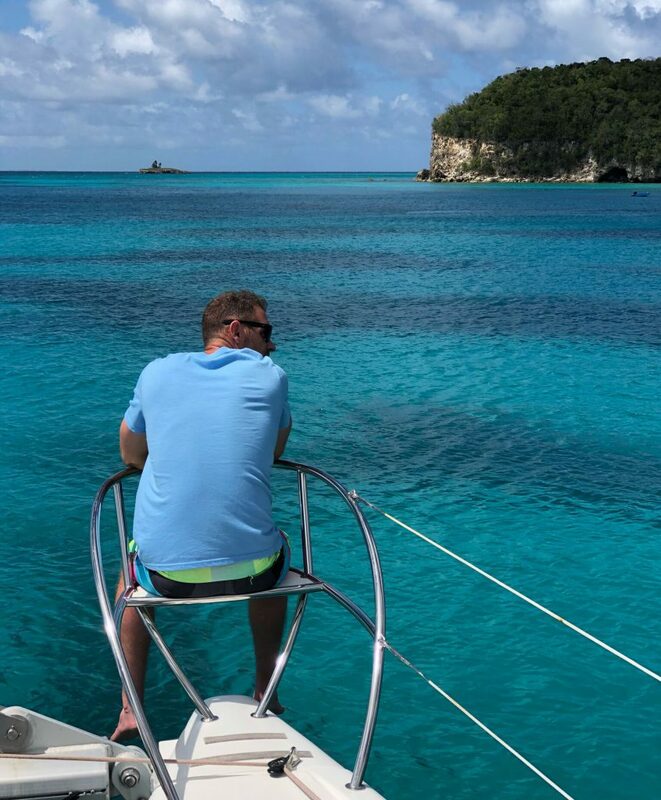 That’s one of the great perks about being a member is your can book that entire boat ahead of time in the perfect location for you and your friends! Are the cabins teeny tiny? Nope! They are actually quite comfortable! It’s still a tight space, but not nearly as tight as other boats I’ve been on, like a houseboat in Lake Powell. Once you get on the boat, you unpack your suitcase and they take it so you can have a good amount of space in your room. What are the bathrooms like on the boat? Just a smaller version of your own bathroom. Yes, you can do ALL of your business on the boat. Is there fresh water on the boat? Yep! All the faucets have fresh running water and bottled water is available, as well! Anything special I should bring? I highly recommend a water bottle that keeps your ice frozen. Fresh cold water keeps you drinking water throughout the day and that keeps you feeling your best. I also recommend bring A TON of sunscreen because it tends to be expensive over there. 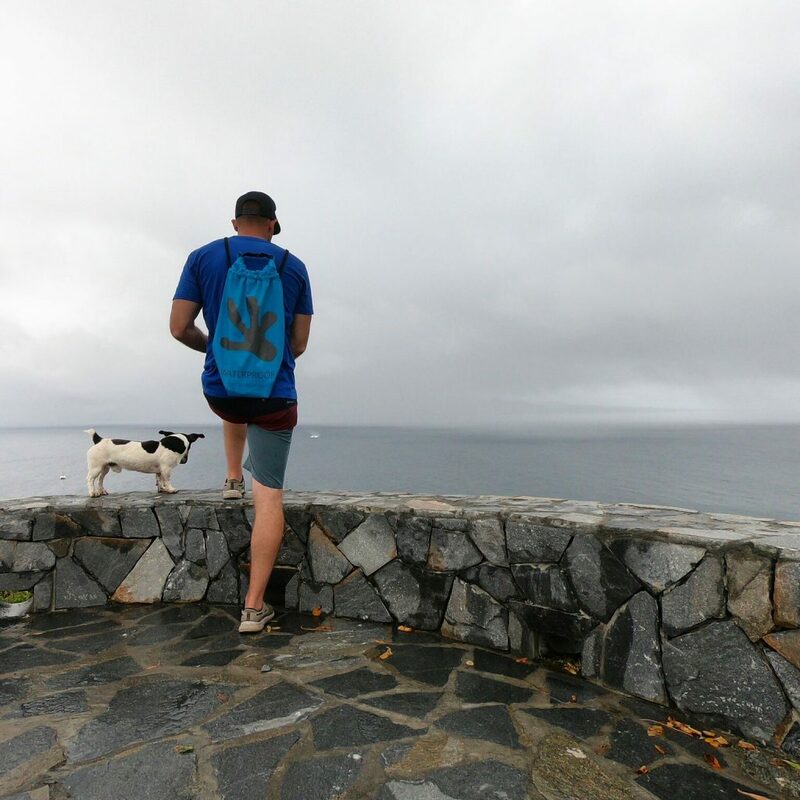 Then of course you need swimsuits, comfortable clothing, hats, tennis shoes for any hiking and exploring that comes up, and any extra snacks you may want. I liked having jerky on hand for extra protein! Did you get sea sick? I’ve never experienced sea sickness myself. The sails are pretty calm most of the time, but there is a couple longer sails sometimes that can cause sea sickness. I recommend bringing Dramamine or you can get a seasickness patch which you place behind your ear. Many people did that on our first sailing trip and it really helped them! To say that I love TradeWinds is honestly an understatement. This company is taking people to MULTIPLE exclusive destinations, all in one trip. And they continue to grow and expand! 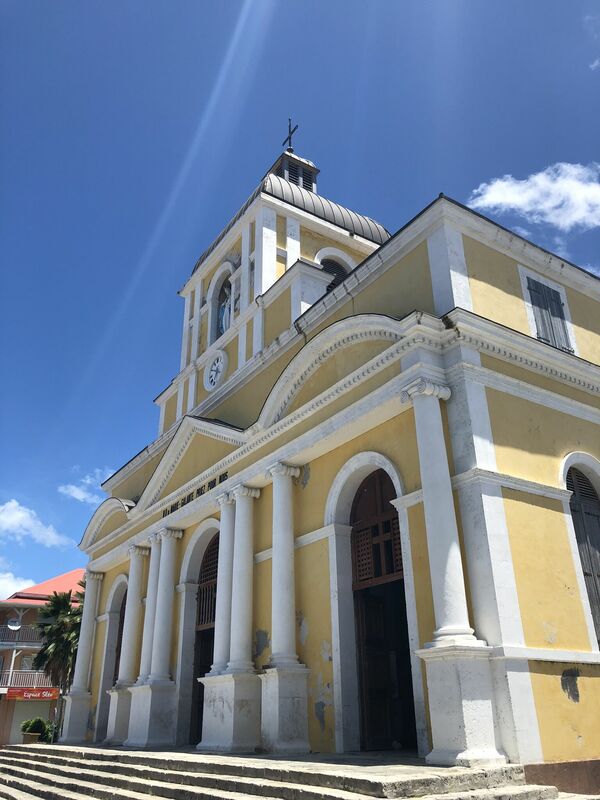 After experiencing St Martin, St Barths and Anguilla the first time and Guadeloupe the second time, I’m hoping to someday visit the BVI’s, Belize, and the French Polynesia. I’ve heard amazing things about all of those destinations from the people on our boat this last trip. Huge thank you to TradeWinds and Siren Communications for sponsoring this trip and making my 30th birthday the best birthday yet! All opinions from this trip are my own. I was sooooo excited for this recap! It looked like you had such a fabulous time on both trips you’ve done with TradeWinds. I was wanting to take my mom on a trip for her 60th birthday this year. I’m thinking something like this would be right up her alley! that would be such an amazing birthday trip!! What ports do they set sail from? i believe the non-member price shown online is for the cabin only, then you pay the all inclusive fee once you get there! there definitely isn’t room for a 3rd person in a cabin, but a woman on our boat purchased a cabin for her daughter and daughters friend. hopefully that answers your question! Just a tidbit….. there’s no all-Inclusive fee for rentals. The price you see is the full rental price for two persons / one cabin. ???????? you’re the best! Thank you so much for answering that correctly, april! You would LOVE the BVIs and French Polynesia!! They’re both gorgeous. Do you have to plan what you do at each stop, or does the crew give suggestions/recommendations? the crew gives suggestions or has something already set up! I have definitely put one of these trips on my bucket list. It looks aahhhhmazing. so much freaking fun!! it definitely belongs on a bucket list! What class of a boat were you on? How much do you tip? SO EXCITED for this post. I am getting married in November and the only type of honeymoon my fiance and I have been able to agree on is a private cruise (except not so private because we aren’t made of money ha!) Long story short, he wants to go to the Caribbean to lounge and I want to go on an adventure. This seems like the perfect combo! I am so glad you had the Q&A at the end. Have both boats you have been on been luxury class or have you been on their other types of boats? We were looking at luxury but open to the other options also! Was it weird staying on the boat for that long of a duration? I know you got to go do activities on shore each day, but as someone who’s never been on a cruise or anything, I’m wondering if I’d get a little stir crazy or claustrophobic after a while! i only did one day because it had been raining for 2 days so i didn’t want to go in the water to float or snorkel and we didn’t go to shore, so that was the only time. but on my first trip, it never rained and i never felt that way! I took the same trip and same location! Our crew was amazing and it was so much fun and so gorgeous. My parents are actually on another Tradewinds cruise currently in Tahiti and I’m dying with every picture they send. Hopefully I’ll get to go on another one soon – glad you enjoyed it and Happy Belated Birthday! I loved listening to the podcast episode today with your recap! Adding Guadeloupe to my must visit destination list. Also, “bon anniversaire” or “joyeux anniversaire” in French means happy birthday! Juli you have me SO curious about Tradewinds. I am not a cruise person in the traditional sense but these look amazing! OMG, your trip looks amazing! I want to round up my friends and go sailing now! Few questions for you – do the cabins have AC? Also do you have to be a member to book the whole boat (or almost the whole boat if I can only find 3 couples to join us)? Dream Trip! Saving $$ so we can do this someday! hope you can experience it someday! You are so gash darn cute!!! I love hanging with you on this blog. You truly inspire me. I just started doing the Ketogenic diet and it is working so well with my diabetes. My numbers are getting closer to normal everyday. I am 211 today and my goal is to get to 198 and start Crossfit again. I started 6 years ago at a box in Pleasanton CA. I hurt my arm and took off several weeks and then the box changed ownership. I was not comfortable going back to this box, so I just stopped. Hence the serious weight gain. I am back on the wagon and when I hit 198 I will return to Crossfit. My brother and sister-n-law are big Crossfit people, and I discovered that several dog owners at the dog park I frequent are Crossfit people too. Soon, very soon I will be there again. I feel amazing right now and I am excited to get back as soon as I can! I want to go on a Tradewinds cruise!!! This post truly pumped me up!!! Big Hugs to you!!! get it robin!! awesome work!! CrossFit is so life changing in so many ways and I hope you get to try it soon and experience it yourself! i actually have that planned soon!